New Cairo City is Established by Presidential decree ( 191/2000). Its only 15 K.M from Maadi and 10 K.M from Nasr City. New Cairo City is Built Over 70 Thousand Acres which is Divided into ( Residential- Commercial& Administrative) districts. The total number of houses is 69764 of which 34034 Bulit by New Urban Communities authority and 35730 implemented by Private sector. New Cairo City Residential Areas are subdivided into ( Buildings- Villas- luxurious comppunds) that are actually served by integrated services that is designed to satisfy all your needs and desires. that is why the demad for villa for sale in new cairo is increasing rapidly. If you are looking for shoppimg you can go and visit Cairo Festival City Mall, Downtown, Concord Plaza, The Spot, waterway, Point 90 to enjoy number of brands such as tommy- Massimo Dutti- Zara- H&M- American Eagle- Marks& Spencer- centerpoint-mother care. If You are looking for a restaurant or Cafe you are deifintely offered various options such as costa coffe- casper, Shakespear&co, Cafe Supreme, Mori Sushi leila and more. From the other side New Cairo City embraces number of the best Universites such as ( AUC- GUC- CIC) and more. from the other hand if you are looking for the best school to enroll you kids in you dont have to go far here you can find ( chouifat - Al Masria British Language school& the American One and more. New Cairo residents are offerd a wide range of properties from one bedroo to 5 bedrooms apartments in additon to townhouses, twinhouses- villas to palaces with exceptional views. Why people prefer to buy villa in new cairo? first of all the exceptional location, you are just close to anywhere Maddi, Nasr City, heliopolis, Downtown. yet you are too far from the hustle and bustle of Downtown Life. from another hand You are surrounded by all kind of facilities and educational instituations. 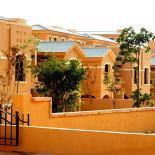 Also, in New Cairo you will definitely find your home and enjoy number of exceptional compound like Mivida. Mivida of coure is considered as a premier Compound built by Emaar Misr. You will be provided by your home served by a number of clubhouses- Central Park of 33 Acres- Dancing Fountain Cafes, Restaurants& 2 hotels- Medical Sevices.Thus Villa for Sale in Mivida if a perfect choice for residents who is looking for villas for sale in new cairo. ON the 90th St. people is also Looking for Villa for sale in Lake View compound is located just on the main 90st st all its residents are enjoying clubhouse, spectacular views of lakes& uniterrupted nature. People are also looking for serenity, privacy and golf View , that is why there is increase need for villa for sale katameya hieghts. another option which is definitely eople most asked and most required is villa for sale in mountain view this compound is offering for its residents views over lakes, pool& greenery. Also, amazing and unique architecture, exquiste clubhouse.